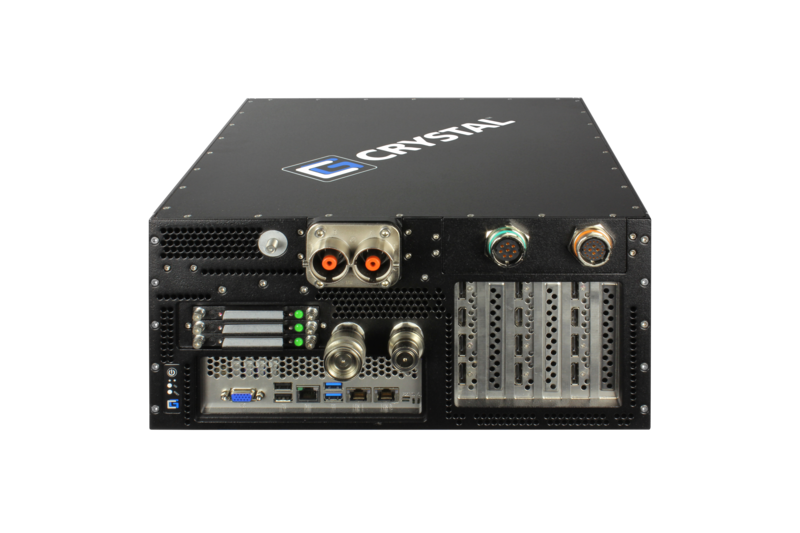 Accelerate automated system, unmanned or autonomous vehicle (AV), artificial intelligence (AI), machine learning, and sensor fusion system development with Crystal Group RIA™ – Rugged Intelligence Appliance. Crystal Group RIA rugged computers and development kits are engineered to put advanced projects – including artificial intelligence (AI), autonomous vehicle (AV), advanced driver-assistance system (ADAS), unmanned vehicle (UAV/UAS, UGV, and UUV), and other innovative programs – on the fast track to market. Reduce development time, save money, and speed past competitors – while keeping safety and reliability the top priorities – with Crystal Group RIA. Crystal Group RIA systems combine impressive compute power, data-handling capabilities, and storage capacity in a compact, rugged solution that can withstand harsh conditions and environments – including potholes, collisions, and extreme temperatures that could cause traditional systems to fail. Available in custom or off-the-shelf configurations, Crystal Group RIA high-performance computers sport the latest Intel® processors, high-capacity DDR4 memory, and sophisticated power and thermal management stabilized in a size, weight, and power (SWaP)-optimized aluminum chassis. Built for safety and reliability, Crystal Group RIA systems leverage 35 years of experience tailoring high-performance, fail-safe rugged hardware for hundreds of defense missions, challenging industrial and commercial applications, aerospace programs, ground vehicle platforms, and a broad array of power, telecommunications, and critical infrastructure projects. Jump-start your autonomous or unmanned project today with Crystal Group RIA high-performance computers and development kits, available customized to specific requirements or off-the-shelf, based on an award-winning, Internet of Things (IoT)-based autonomous vehicle rugged computer design developed in close collaboration with Intel®. When lives are on the line, commercial and military industry leaders, including major automotive OEMs and top technology companies, choose Crystal Group. Crystal Group RIA™ combines impressive compute power, data-handling capabilities, and storage capacity in a compact, rugged solution capable of withstanding harsh environmental conditions, including potholes, collisions, and extreme temperatures that are likely to cause traditional systems to fail. Specifically designed for unmanned and autonomous driving vehicles, this turnkey solution is ideal for both military and commercial/industrial applications. Crystal Group’s award-winning RS363S15F Rugged 3U Server combines high-performance computing and high-capacity data storage in a small size, weight, and power (SWaP) package with a depth under 15 inches (38.1 cm) for the autonomous vehicles market. Available in custom or off-the-shelf configurations with a choice of the latest Intel XEON® class Broadwell processors, up to 1 terabyte (TB) of DDR4 memory, AC or DC power supply, optional liquid cooling. 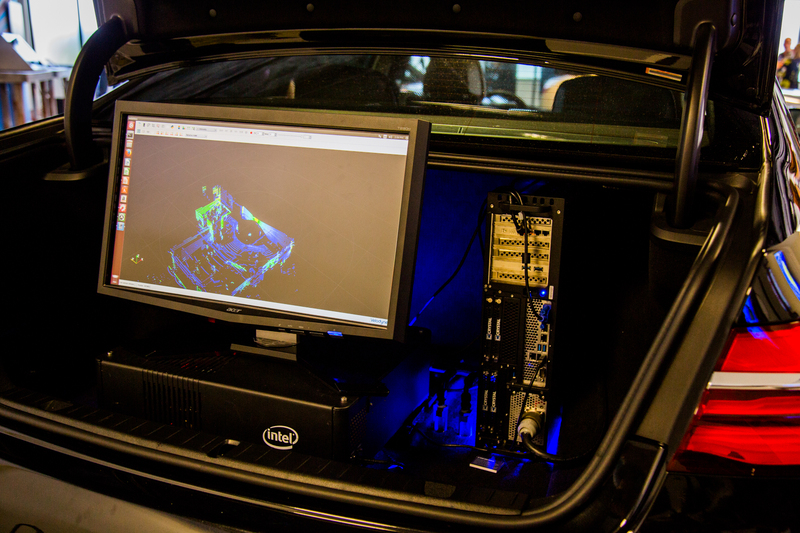 Crystal Group’s President and EVP of Engineering explain how decades of rugged military computing experience led the way to pioneering autonomous driving systems with Intel® and leading OEM’s worldwide. Special guest, Jack Weast, Intel’s Principal Engineer & Chief Architect of Autonomous Driving Solutions, explains how Intel’s partnership with Crystal Group minimized development time and increased the safety and security of autonomous driving technology.